Hosted within the Economy Building at the southern end of Pike Place Market, the Atrium Floor grounds the multi-story historic building with high ceilings and iconic sculpture art. Here you can create an immersive market experience, your guests are sure to enjoy. 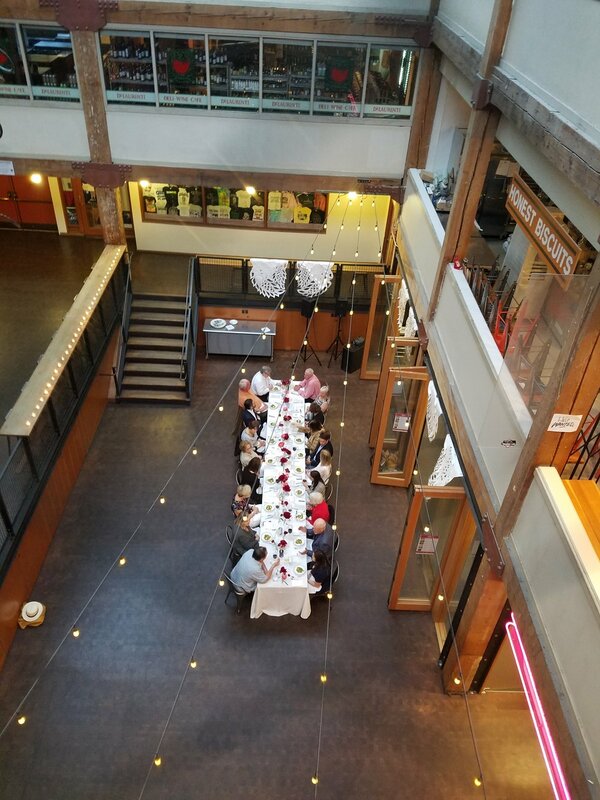 The Atrium & Mezzanine is an exceptional, one-of-a-kind space to host a variety of corporate receptions, post-conference happy hours, networking and mingling events, and team building experiences. 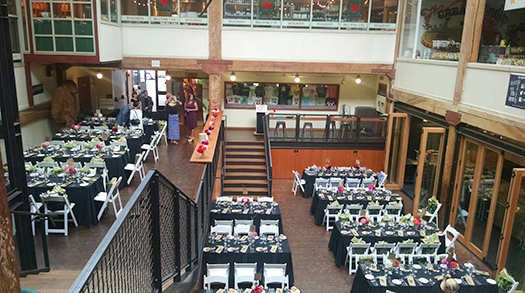 Whether it's your rehearsal dinner or wedding reception, the Atrium offers guests a special once in a lifetime experience at Pike Place Market. 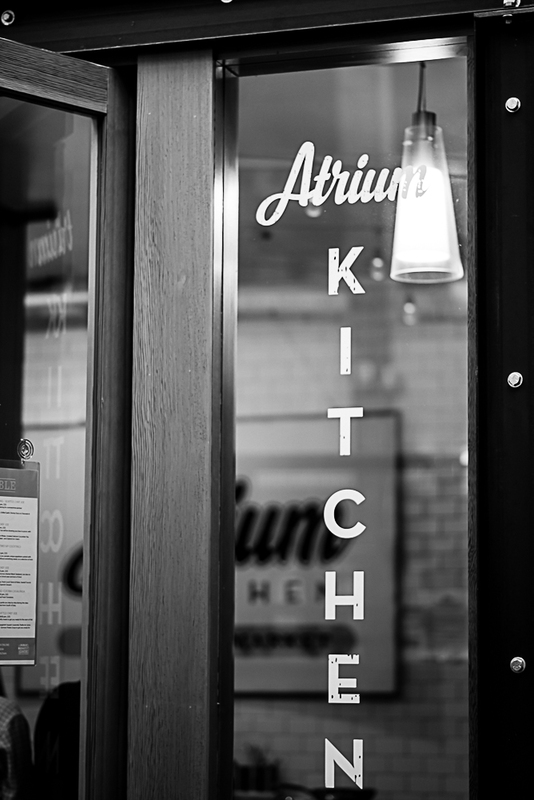 Private use of the Atrium Floor begins as early as 6:30pm. Teams that play together, stay together! Work with our head chef and experienced team building coach to design your ideal event customized to your group. In town for a conference and want to give your guests a special, only-in-Seattle experience? Allow our chef and event coordinator to customize a taste of the market experience for you and your guests. Gathered together under the skylights of the Atrium, the following may be customized to give your guests a quintessential taste of Seattle.